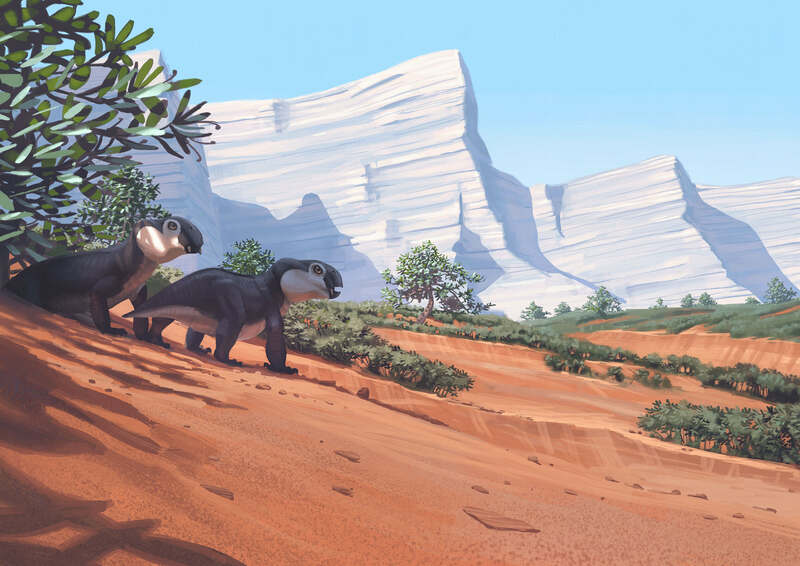 Compared with the preceding period, the Carboniferous, seed plants became increasing dominant during the Permian. Land-based animal life also changed. Amphibians became fewer, while more and more groups of land-dwelling reptiles evolved. A gradual change to a drier climate during the Permian benefited plants that reproduced with seeds. They had several advantages, compared with spore-bearing plants such as ferns, horsetails and clubmosses. Tall tree fern. 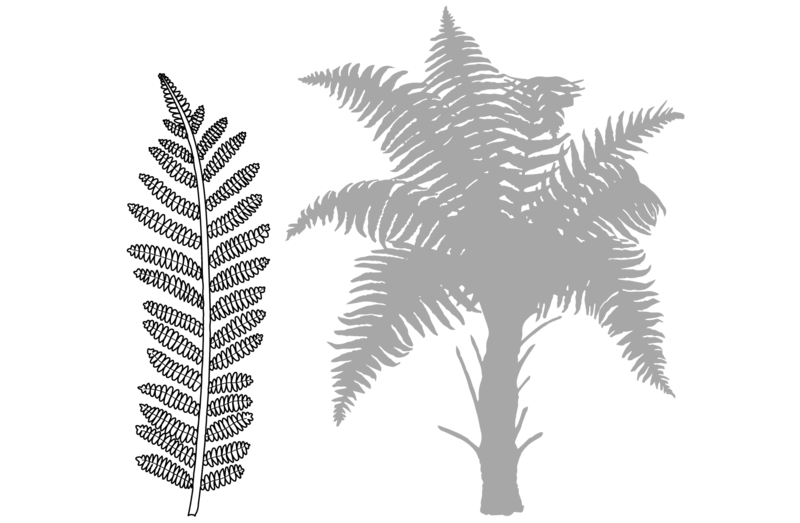 The fronds could be up to one metre long. 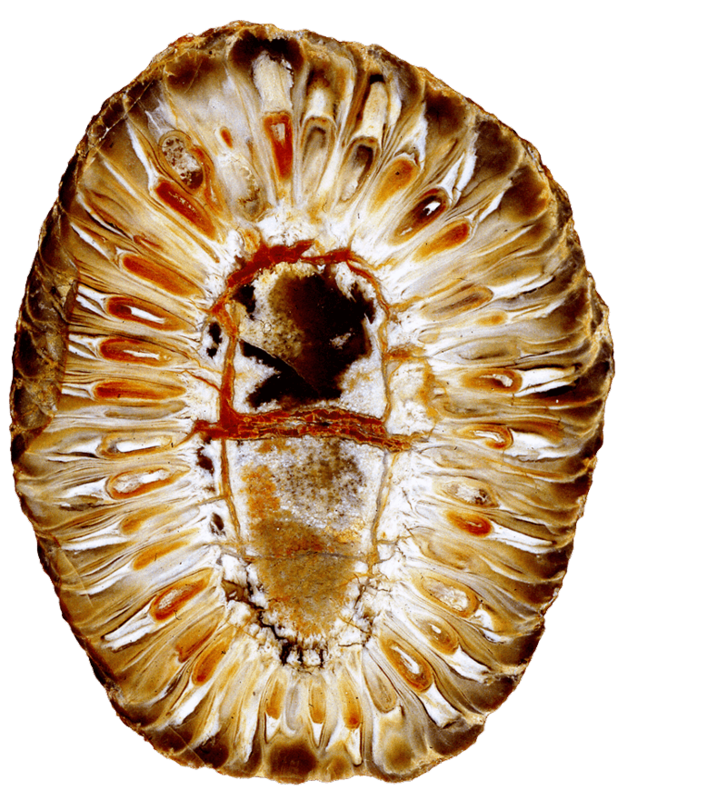 Cones to protection for seeds evolved during the Permian. Here, a fossil cone from the Jurassic. Seed-bearing plants can grow taller, and have stronger stems and leaves, making them more efficient at capturing sunlight. Reproducing with seeds is also more efficient. Since plants that do so are not dependent on water for fertilization, their windborne pollen grains deliver the sperm cells directly to the ovules. In addition, seed-bearing plants evolved various kinds of cupule, cone and other structures that protect against dehydration. The first land-dwelling vertebrates were insect-eating predators. None of them fed on plants, even though plants were abundant on all continents. Eventually, however, several groups of vertebrates began to eat plants. That was made possible by adaptations to their teeth and digestive systems which enabled them to chew and digest plants. Animals that could utilize easily accessible plants as food did not have to hunt prey animals, which was an advantage compared with predators. As a result, plant-eaters increased in both size and numbers. That in turn resulted in more food for predators, so their numbers also increased. In short, the entrance of plant-eaters on the scene started a chain reaction that led to unprecedented biodiversity in land-based ecosystems. There were now a great number and variety of insect-eaters, plant-eaters and predators among the reptiles. Amphibians are dependent on water in which to lay their eggs, and cannot survive without sufficient accumulations of water. They therefore disappeared from the warmer and drier regions of the continents, and were confined to wet tropical forests along the coasts. The lizard-like reptiles, on the other hand, could thrive in all sorts of environments, because they laid eggs with shells that could survive in dry conditions. 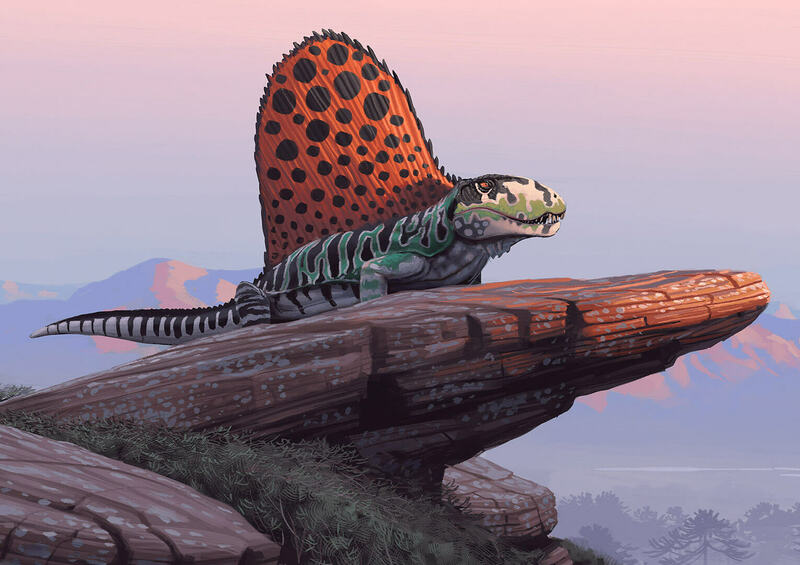 The sail-backed Dimetrodon was one of the largest predators of the Permian.